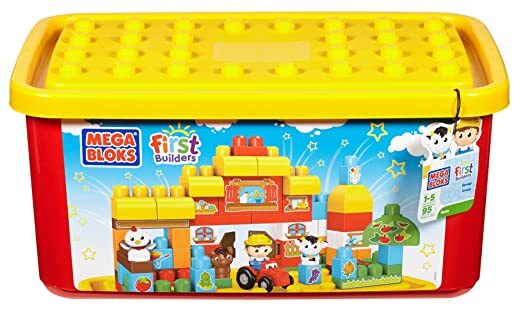 Walmart.com has the Mega Bloks 100 Piece Value Bucket on sale for ONLY $10 + $0.97 shipping (this same set typically sells for $21.88!). 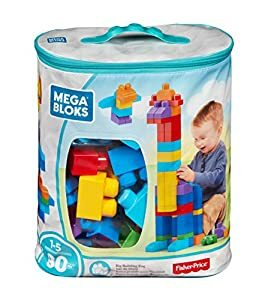 The Mega Bloks Value Bucket comes with 100 colorful Maxi blocks in a handy storage bucket and is rated 5 out of 5 stars by 7 reviewers. Inspire your child with limitless construction possibilities. The Mega Bloks Value Bucket comes with 100 Maxi blocks. Watch as your child learns to identify colors and shapes, explore new building possibilities and experiment with inventive construction dimensions. Mega Bloks First Builders Let's Start Building Set, 100 Pieces 这个100块一盒的Bloks 现在在walmart.com 卖 10刀一盒， 原价是20刀。 你可以 free store pickup. Amazon 现在 this Mega Bloks Thomas & Friends Sodor’s Legend of the Lost Treasure Building Set price cut for just $29.99 (reg. $39.99!). Keep in mind that shipping is free on orders of $35 or more, OR get free 2-day shipping (no minimum purchase required) with Amazon Prime! 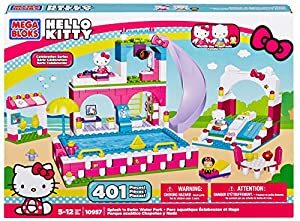 Amazon Mega Bloks Hello Kitty Splash N' Swim Water Park 这套积木一共有401块， 现在降价只要 $14.99 with free shipping. Buildable water park with a pool, water slide, picnic area, lounge chairs and tons of cute special parts and accessories. Fun sticker sheet to decorate your set. Combine with other Hello Kitty buildable play sets by Mega Blokes to have all kinds of fun adventures with Hello Kitty and her friends! 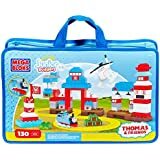 Amazon.com where you can buy this Fisher Price Mega Blocks Train Set for only $11.99 shipped – best price! This train set comes with 50-pieces that include blocks, special parts, three rolling wheelbases, and three building plates. 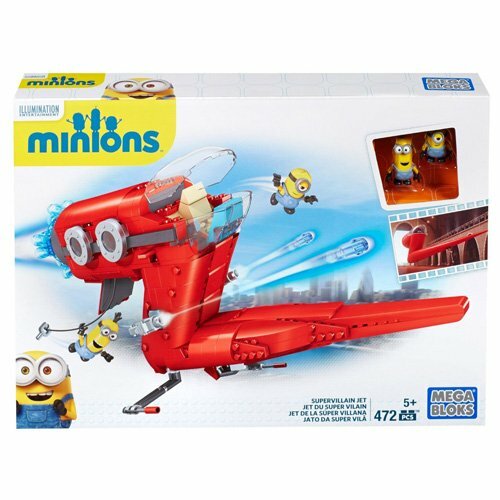 Hurry, Amazon.com now you can buy this Mega Bloks Minions Supervillain Jet for just $9.99 (regularly $44.99). This set includes a buildable jet with opening cockpit and canopy, working ejector seat, two side launchers, and a trap door plus it comes with two buildable Kevin and Stuart Minion character figures with interchangeable parts! 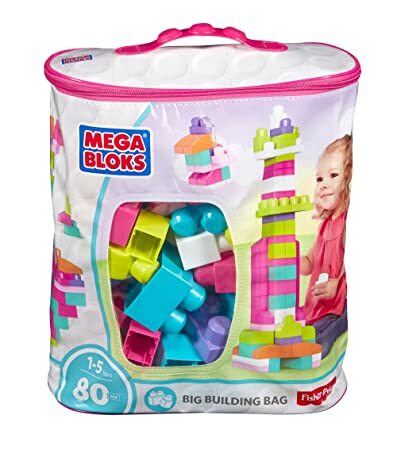 Hurry, Amazon.com 现在 this highly rated Mega Bloks First Builders 80-Piece Big Building Bag in Pink is on sale for the lowest price of only $10 (regularly $19.99!). Walmart.com now you can buy this Tot Tutors Kids 2-in-1 Plastic LEGO-Compatible Activity Table and 2 Chairs Set for only $33.29 (regularly $77). This set features a play surface compatible with LEGO and Duplo building blocks plus, there is a bonus storage area in the center. And with the cover on, you can use this table to eat, read books, color, do arts and crafts, play board games, and more! ToysRUs.com now you can get Mega Bloks First Builders 100-Piece Building Set for just $9.99 (regularly $24.99). Shipping is free on orders $29 or more, or free in-store pickup. 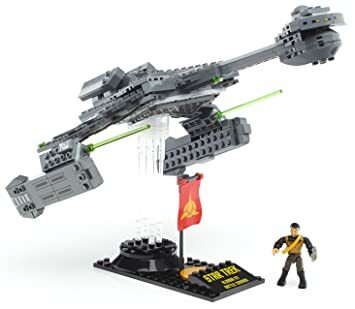 Amazon.com now you can get this Mega Bloks Star Trek Klingon D7 Battle Cruiser Collector Construction Set for just $12.16 (regularly $39.99). This set featuring the iconic ship from Star Trek: The Original Series includes 351 pieces and is ideal for ages 12+. Through November 27th, or while supplies last, Newegg.com where you can get this Mega Bloks Star Trek U.S.S. Enterprise Set for just $74.99 shipped (regularly $249.99)! This HUGE set comes with 3,098 pieces including a display stand for your Enterprise once it’s built and Captain Kirk and Mr. Spock figures. 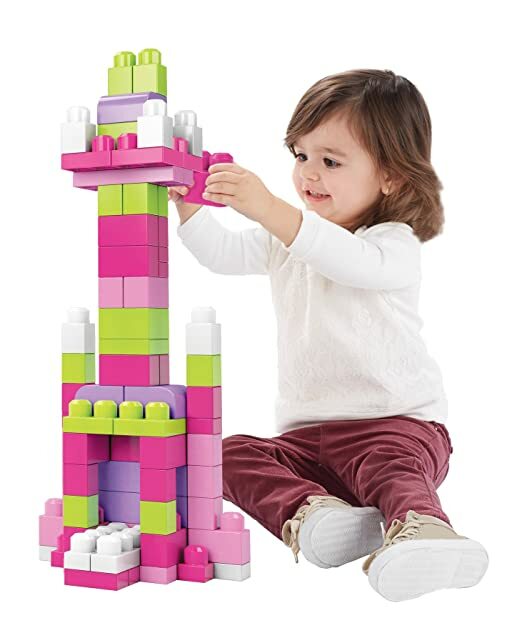 Walmart.com now you can get this Mega Bloks Big Builders Build ‘n Create 250 Piece Set for only $15 (regularly $39.99)! Choose free in-store pick up . This set features 250 pieces in rainbow colors that can be used to make fun creations! 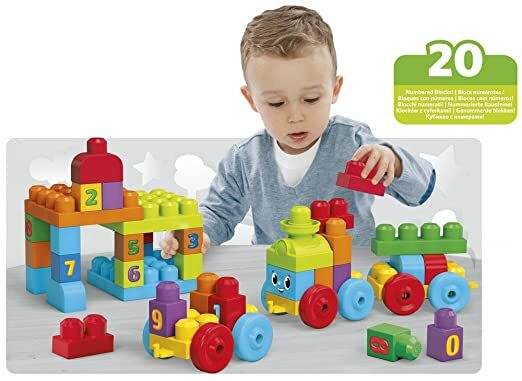 Walmart.com now you can get this Mega Bloks First Builders Block Scooping Wagon for only $16.97 (regularly $24.52) .Choose free in-store pick up . Perfect for kiddos ages one through five years old, this wagon is filled with 20 First Builders Blocks and is built with an easy-to-grip handle. 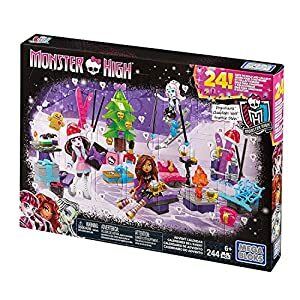 Amazon now get this Mega Bloks Monster High Advent Calendar for just $15.95 (regularly $29.99)! This advent calendar comes with 24 unique, monster-filled surprises for building a new toy each day. It also comes with three buildable mini fashion figures including Frankie Stein, Clawdeen Wolf, and Draculaura. All pieces compatible with other Mega Bloks Monster High Playsets! Amazon.com now you can get this Mega Bloks 80-Piece Big Building Bag in Classic colors for just $9.97 (regularly $24.99)! Walmart.com now you can buy this Mega Construx Despicable Me Minons Free Form Building Set for just $5.44 (regularly $14.92) – lowest price! Choose free in-store pick up. This 150 piece set comes with one Minion figure with interchangeable parts including lab equipment, jelly jars, a laptop and secret escape door. 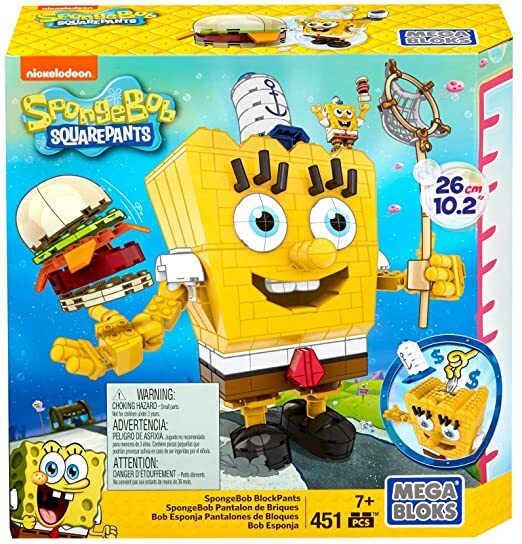 On Amazon.com you can now buy this Mega Bloks SpongeBob SquarePants Construction Set for only $7.05 $11.28 (regularly $39.99). This 360-piece set features a giant SpongeBob buildable character with poseable arms, changeable expressions, a big Krabby Patty burger, an oversized hat, and a huge net!